Consumers spend about $7 billion annually on chocolate worldwide, and San Francisco gets in on a nice slice of that action. There is definitely no shortage of chocolate shops in San Francisco and neighboring Bay Area communities! The City is home to several chocolatiers selling fine, hand-crafted confections – as well as a couple of artisan chocolate makers – and San Francisco should be at the top any respectable chocoholic’s “must-visit” U.S. vacation destinations. While there is no longer a Ghirardelli chocolate factory tour available in San Francisco (or, for that matter, a Ghirardelli chocolate factory; read on for more information), there is no shortage of places for chocolate-loving tourists to visit in San Francisco, and a plethora of ideas and locations are all organized and set out for you in this article. There is even a San Francisco Chocolate Festival you might want to plan a whole trip around! Where Guittard remains to represent “old school” chocolate making in San Francisco, a “new school” arrived in the mid-1990’s when Scharffen Berger Chocolate Maker opened a factory in South San Francisco. The brand became quite popular, and the company moved to a larger facility in Berkeley about four years later. About four years after that, in 2005, Scharffen Berger was acquired by The Hershey Company. Sadly, in 2009, Hershey closed the San Francisco factory and moved production to the Midwest. In 2008, a new breed of new school chocolate maker arrived in San Francisco, and it goes by the name of TCHO. 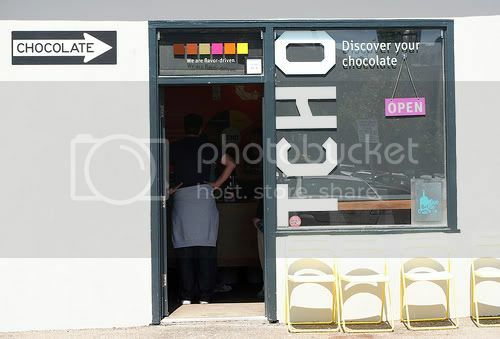 Founded by a space-shuttle technologist turned chocolate maker, TCHO is, in essence, a technology firm that makes chocolate. Don’t let that idea turn you off, though. 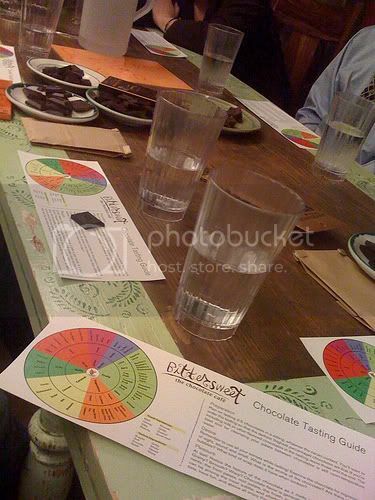 It’s a fascinating company, and you can learn more about in our Chocolate Factory Tour in San Francisco article. What follows may not be an exhaustive list of San Francisco’s best chocolate offerings, but you can trust it to provide some very sound recommendations for places chocolate lovers will want to visit in San Francisco. The San Francisco Ferry Building is a good place to start if you want to enjoy San Francisco food tours of any sort – chocolate included! – and you should definitely plan to stop at the first two shops on the list below. Scharffen Berger (Ferry Building) – As discussed above, until 2009 Scharffen Berger was a local company with a chocolate factory in Berkeley, but then Hershey’s made them an offer they couldn’t refuse and eventually the chocolate making facility was relocated. 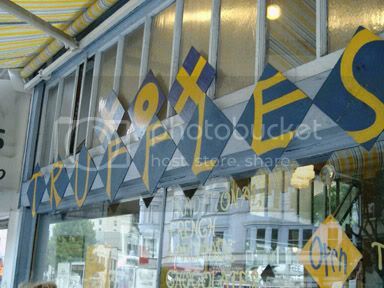 Happily, however, the company retains a presence in San Francisco at this popular food emporium. Fog City News (Financial District/Embarcadero) – While this is not a “chocolatier,” any discussion of chocolate in San Francisco would be incomplete without mentioning Fog City News. This news stand carries over 150 chocolates from throughout the world and is the exclusive retailer for several select chocolate brands. What’s more, they compile tasting notes for all the brands they carry and keep a computer database which allows for detailed discussions with their customers. It’s definitely worth putting on your chocoholic radar and worth a stop – it’s one of those unique places that makes San Francisco such a special place! And, if your San Francisco travels will also include a Napa-Sonoma Wine Country trip, you might also want to check out that area’s ample chocolate offerings. Wine Country Chocolates (winecountrychocolates.com) has two Sonoma County tasting rooms, one on the Sonoma Plaza and the other in Glen Ellen. In Western Sonoma, check out the offerings at Sebastopol’s Infusion Tea Shop (infusionsteashop.com). In Napa County, don’t miss Woodhouse Chocolate in St. Helena (woodhousechocolate.com), and in the city of Napa, La Foret, run by Wendy Sherwood, a former The French Laundry pastry chef (laforetchocolate.com), Anette’s, whose main location has been open for 30+ years and who now has another, smaller shop in the Oxbow Market – a Napa Valley tourist attraction you won’t want to miss (anettes.com) – and Vintage Sweet Shoppe, where you can even enjoy a wine/port and chocolate pairing at their recently opened wine bar (vintagesweetshoppe.com). “Best” is really a matter of taste, though, so what follows is more recommendation than definitive pronouncement. Chances are you won’t be terribly disappointed by any place you choose to enjoy some hot chocolate, especially if it’s chilly outside! For our money, it’s hard to top Christopher Elbow’s four flavors of drinking chocolate (Peppermint, Mocha, Cocoa Noir Dark and Venezuelan Spiced, with the latter as our fave) or their fine chocolate coffee, but the shop’s Hayes Valley location may not be ideal for San Francisco tourists. Bittersweet Café’s offering is hard to beat, too, but its Oakland location may be similarly flawed for visitors with time constraints. That may be why most discussions of San Francisco’s best hot chocolate tend to revolve around the Ferry Building. Here you will find a varied selection – perhaps more choices for hot chocolate per square foot than anywhere else in the world! First, there’s Blue Bottle Coffee where they use chocolate from confectioner Michael Recchiuti. For coffee, we think Blue Bottle is a great choice, but no so much for hot chocolate. Why not go straight to Recchiuti’s Ferry Building location and snag a cup of liquid chocolate – named on Yahoo’s “America’s Best Hot Chocolate” list, by the way – and also enjoy that tasty little handmade vanilla marshmallow? On the other hand, if you’d rather sit down while a perfect cup of thick hot chocolate is prepared for you, then you simply must check out Boulette’s Larder. (Actually, it’s a place you should check out even if you’re not drinking hot chocolate!) Lastly, if you’re in a hurry, hit Peet’s, where they use Scharffen Berger dark chocolate to concoct a delicious cup and they do it on the double! If you are particularly fond of this chocolate and ice cream combination, we suggest you make a point to sample both in the name of scientific research. (biritecreamery.com/icecream) You may also want to read our Mission food tour discussion for another unique San Francisco ice cream experience suggestion. While we love San Francisco chocolate, we really can’t in good conscience recommend that you pick up a bunch of it to lug home as souvenirs or gifts. The truth is, you can buy Ghirardelli chocolates at Amazon (not a bad idea, actually, if there’s someone you need to thank for watching a pet or watering your lawn while you’re traveling), and most of the chocolatiers discussed above have online ordering options, as well. If you’re looking for a fun gift for a fellow chocoholic, you might want to check out The Chocolate Guide. 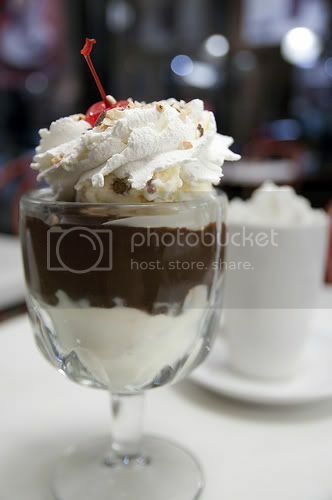 Another idea: put together a collection of favorite Ghirardelli recipes for free and pair them with some of the Ghirardelli selections packages available at Amazon. 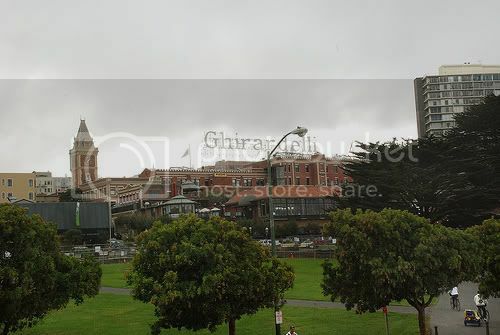 Photo of Ghirardelli Square in San Francisco by pag2525 via flickr (Creative Commons); Photo of TCHO chocolate shop and factory by NiallKennedy via flickr (Creative Commons Photo of XOX Truffles in North Beach by towse via flickr (Creative Commons); Photo of Chocolate Tasting at Bittersweet Café in Oakland by EileenRose via flickr (Creative Commons); and Photo of World famous Ghirardelli hot fudge sundae by yuichi.sakuraba via flickr (Creative Commons).